Our senior partner, Hugh Welch, has raised an incredible £6,000 in his continued quest to help raise awareness and much needed funds for voluntary ‘pro bono’ work within the legal profession. Competing in the second-ever London Landmarks Half Marathon alongside over 13,000 runners, Hugh recorded a time of 1 hour and 29 minutes – averaging an impressive 6 minutes and 47 seconds per mile. The race started on Pall Mall and finished by Downing Street and took in fabulous views of London’s most iconic buildings including Big Ben, St Paul’s Cathedral, Nelson’s Column, the Gherkin, the Shard, the Tower of London and the London Eye and of course the Royal Courts of Justice in the Strand. If you’d like to follow in Hugh’s footsteps and take on the London Landmarks Half Marathon 2020 to help fight for access to justice, email the Advocate team at [email protected] to register your interest. 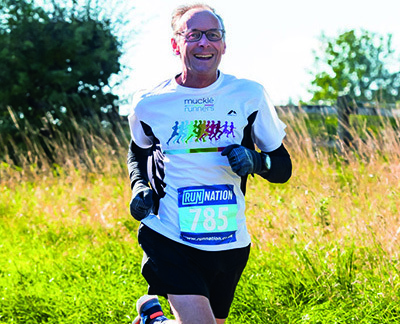 Click here to find out more about Hugh Welch’s half marathon fundraising drive and click here to learn more about our commitment to being a responsible business.